The Nyssa FFA chapter recently received a $2,000 grant from the Wilco-FFA Grants Program and has used it to buy a stock trailer to transport livestock and other chapter projects. 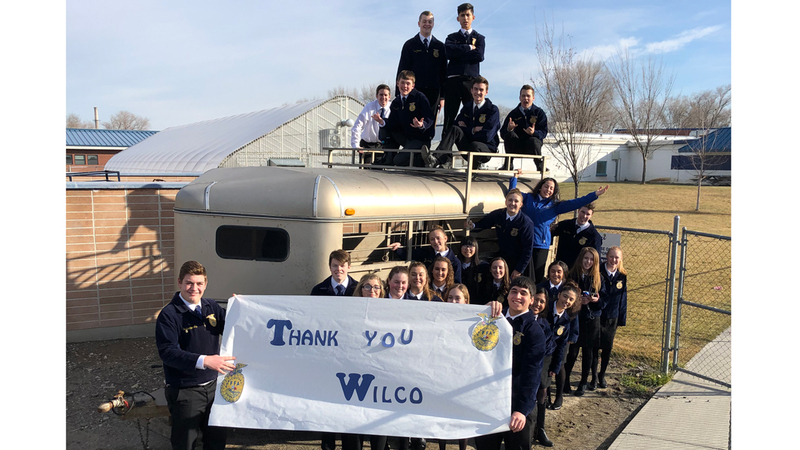 NYSSA – The Nyssa FFA chapter recently received a $2,000 grant from the Wilco-FFA Grants Program that has been used to buy a stock trailer to transport livestock and other projects. Wilco is a farmer-owned cooperative headquartered in Mt. Angel. When the Oregon FFA lost state funding in 2012, Wilco teamed up with several other ag-related vendors to privately fund the Oregon FFA Foundation. This started the FFA Forever campaign, an ongoing effort to raise money and public awareness for Oregon and Washington FFA chapters. Since its inception, FFA Forever has raised over $709,000 through hosting events and fundraising activities. The Nyssa High School FFA Chapter has 52 members and works closely with the school’s agricultural education program, which offers a wide variety of classes from welding to greenhouse management. Chad Cruickshank is the high school agriculture instructor and FFA advisor.